This is as unique a brewery as there is in Chicago. Recently 5 Rabbit Cerveceria opened the doors to its beautiful Bedford Park facility for a housewarming of sorts. 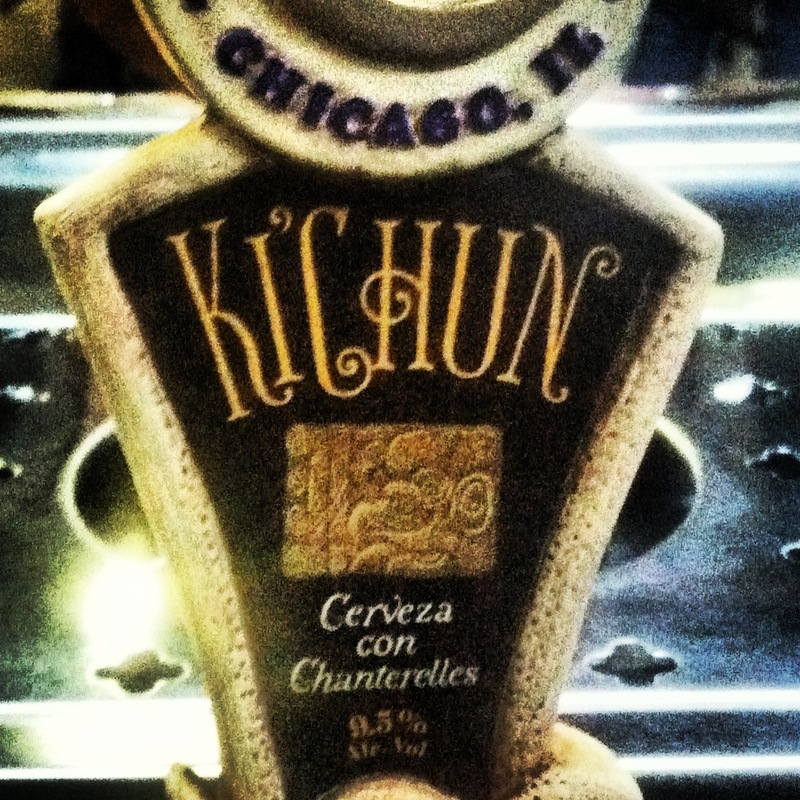 A friendly private gathering that included a brewery tour, as well as a reception with Latin inspired cuisine to celebrate their latest beer -Ki’Chun. It’s not everyday you get to try a beer that features Chanterelle Mushrooms, Dark Thai Palm Sugar and New Zealand Hops. Ki’Chun translated means Fresh Start. Chanterelle Mushrooms have a flavor profile more relative to apricots than a typical mushroom. Combine that with Belgian yeast and a dangerously smooth 9.5% abv and this beer is a wonderful experience. Their facility is tucked away in a industrial park not far from 74th & Harlem. Randy Mosher showed off his pilot system that included 6 smaller tanks. Newly acquired Brewmaster John J. Hall took party goers on a tour of their 30 barrel system in the rear, and gave us samples of 5 Lizard and 5 Vulture direct from the tanks. This project that they have embarked on intrigues me on a number of levels. Issac Showaki and Andres Araya were looking for a city that would be home for their dream brewery. The choices were narrowed down to Austin TX, LA and Chicago. The story goes that it was an encounter with Mila (Andres’ Wife) at a Randy Mosher book signing event that eventually led to him joining forces with Issac & Andres. 2 Great American Beer Festival Medals and 6 contract breweries after their debut at Chicago Beer Week 2011, the 5 Rabbit crew finally has a brewery they can call their own. The place is huge, 25,000 sq ft. As Randy said ” If we’re gonna do it, we’re gonna do it right.” The brewery will feature a tasting room on the opposite end of the where the tanks are. They have already brewed several batches on the system. The space they occupy is a location that actually sat vacant for 6 years. They will brew 6000- 8000 barrels their 1st year. Their is enough space to expand the operation to 140,000 barrels annually! 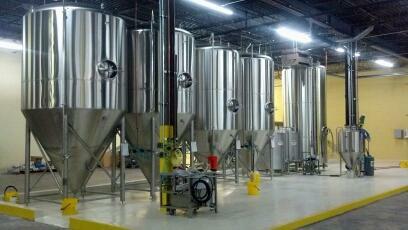 It’s really exciting to see the evolution of this brewery. Recently they signed a deal to have their beers sold at 15 Chicagoland Chipotle restaurants. Over the summer they participated in a Goose Island / 5 Rabbit Beer Dinner in the Lifestyle Kitchen at Whole Foods Lincoln Park. In that Northside vs Southside beer dinner they beat Team Goose in nearly every pairing category. 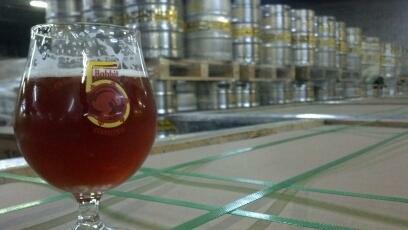 The nation’s 1st Latin themed brewery has been a welcomed concept here in town. You can find 5 Rabbit brews at many geek bar destinations citywide (Hopleaf, Fountainhead, Map Room to name a few). They have also been a hit at festivals, taking home Best In Show at Festiv-Ale ’11 and Beer Of The Year at the ’12 Beer Hoptacular Festival. The vision and drive behind the concept was alluring enough for John J. Hall to leave his post as Head Brewer at Goose Island to take the Brewmaster role with 5 Rabbit. The man behind such GI favorites as Mild Winter, 312 and Gran Gas is a perfect fit next to the guys. John knows all about scale, production and selling large quantities of beer. Chicago has long been known for having a diverse and growing Latino population. In fact it’s larger than every other U.S. city except Los Angeles . It’s cool to have a local brewery that brings the richness of Latin culture to the world of craft beer. Their beers focus on emphasizing a fact that we here at the website have embraced for a while now…Beer is Art. This approach is one that ultimately will broaden the idea of what beer can be to casual beer drinkers and macro beer drinkers alike. We now have a local alternative beers like Corona and Modelo. They introduce new flavor profiles that are much more interesting than anything those breweries have done. 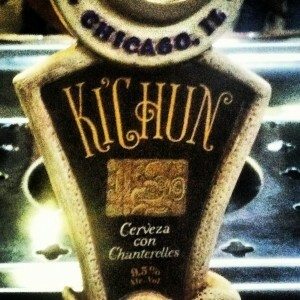 Be sure to check out Ki’Chun Cerveza con Chanterelles when you see it on tap around town. Chanterelles with three malts and toasted oats, all tied together by the exotic fruitiness of New Zealand Rakau hops, accented by a Belgian yeast. * Special thanks to our friends over at The Chicago Brew Bus for taking us out to this special 5 Rabbit event. The Original Chicago Brew Bus is the preferred method of travel for the Chicago Beer Geeks and will drive you to drink. In addition to weekly brewery tours, it is also available for events, all you need is 6 or more people. 5 Rabbit Cerveceria, Andres Araya, Chicago Brew Bus, Issac Showaki, John J. Hall, Randy Mosher. Bookmark.